It was seven years from this past June that my family and I first discovered the word “hydrocephalus.” We had never heard the term before, but after we did our lives changed in so many ways. Our son, Eliot, was born on June 10th, 2011, with both a large cyst in the middle of his brain and a medical condition called hydrocephalus. When he was just a few days old, he had his first brain surgery, here in Tenessee. Over the next year, he would endure a total of eight operations with a couple of other procedures mixed in. It was a blurry time, but Eliot Jace—which means Yahweh is God, Healer—is our miracle. He began the first grade in August and has been known to talk people’s ears off. After hearing Eliot’s diagnosis, I remember having an intense “conversation” with God, telling him that “He had better use this story.” Although I was frustrated with our situation and with God at that moment, the Lord heard my heart. Today isn’t the first time I’ve told Eliot’s story, and I’m sure it won’t be the last. We were startled into attention. The word we’d just learned—hydrocephalus—spoken about on the radio!? When we arrived home, we googled the words we’d heard and were blown away by what we saw. 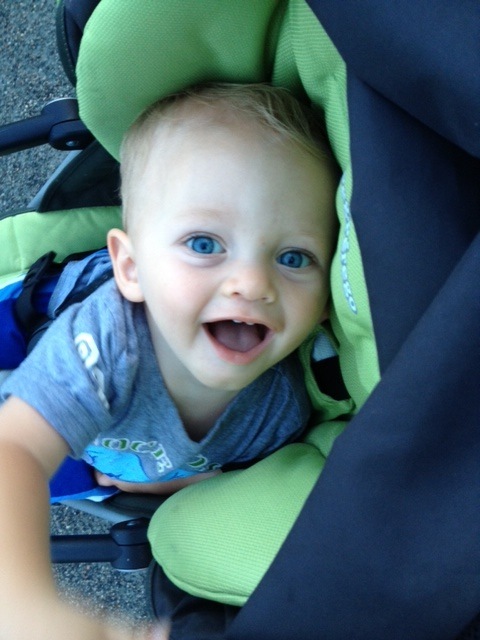 Across the ocean, communities were discarding kids just like Eliot. 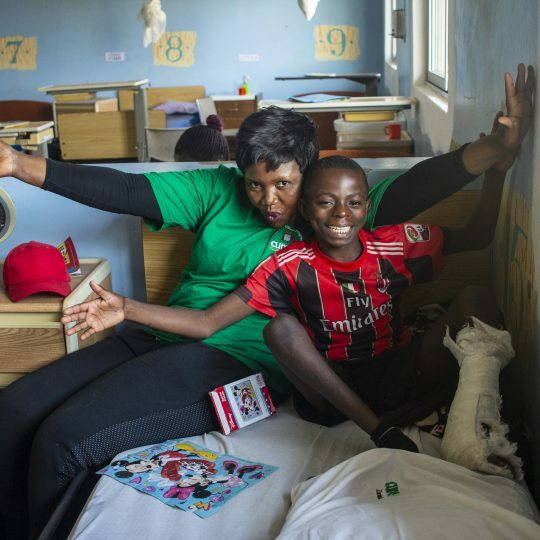 Superstition and a lack of medical knowlege in Uganda meant that the people there often viewed children born with disabilities as cursed, useless, and a burden on society. 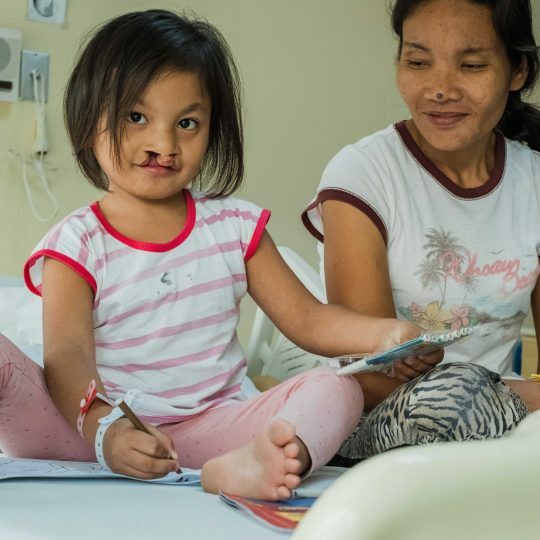 We read on and learned that CURE International had built a hospital to heal those kids and to tell them and their families that they aren’t cursed, but blessed by a God who loves them. 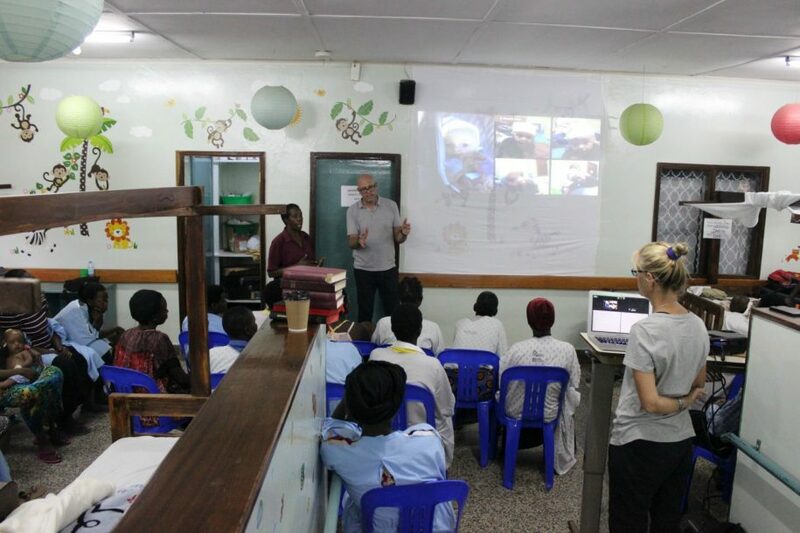 There’s much more to the story, but a year after I read about CURE Uganda, I left the Christian music industry and poured my life into working for CURE and its mission to heal kids and tell them and their families about Jesus. 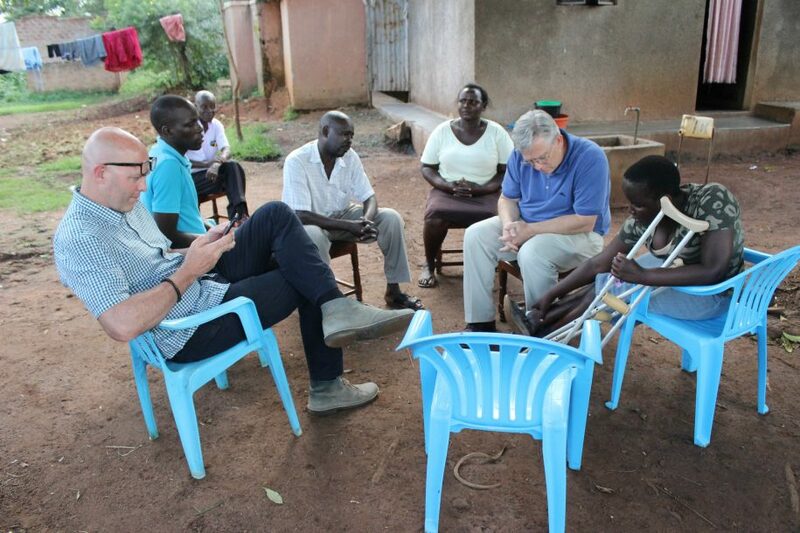 This past May/June, I had the privilege of hosting our friends, Dr. Craig & Tyra McDonald, in Uganda. Dr. McDonald is Professor and Chair of the Department of Physical Medicine and Rehabilitation at the University of California, Davis. He first heard about CURE at a local Chris Tomlin concert. 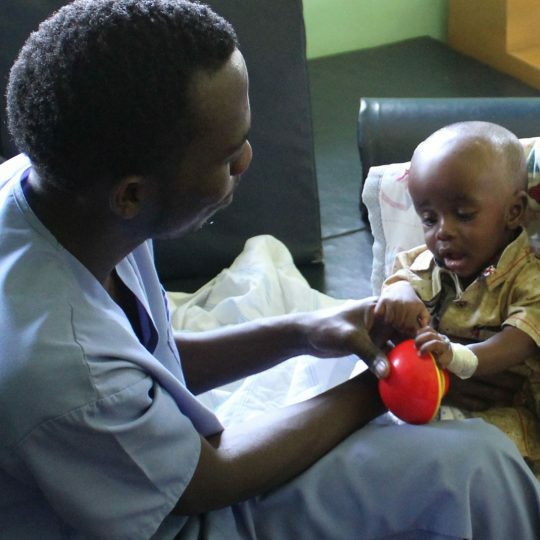 Two years later, struck by CURE’s mission and a desire to help, the couple found themselves boarding a plane to accompany me on a trip to CURE Uganda, where they would meet the kids they’d heard about in person. 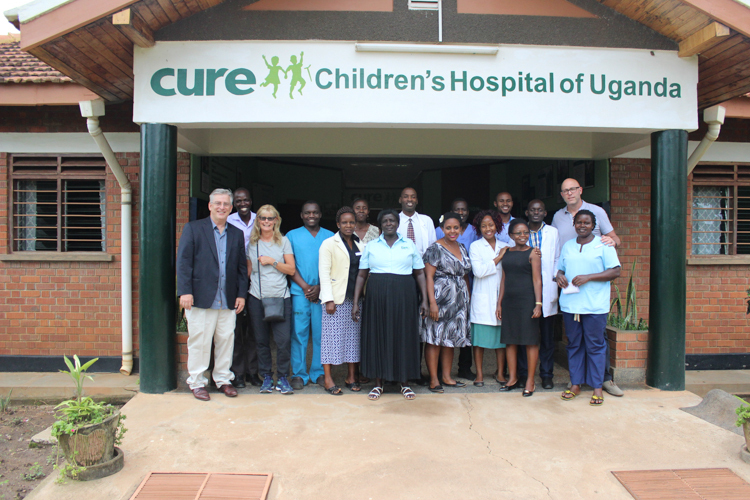 When we arrived at CURE Uganda, our guests quickly connected with both staff and patients. Dr. McDonald and I observed several surgeries, including ETV/CPC procedures and procedures for spina bifida-related conditions. Tyra McDonald spent a lot of time with the moms and babies in the ward, playing, praying and just ministering to them. 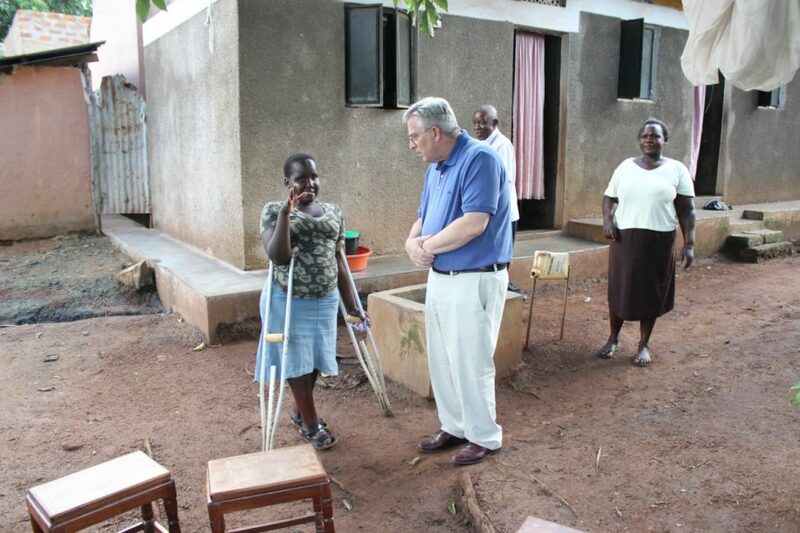 We also accompanied CURE Uganda staff on a home visit, where we met Joyce, a 15-year-old patient with spina bifida. Dr. Craig meets Joyce at her home! Tyra McDonald plays with children in Joyce’s neighborhood. Joyce explains to Dr. Craig about a wound on her foot. Jeff shares his testimony with the mothers in the ward. I’m excited that last June’s visit won’t be the McDonalds’ last trip to Uganda, and I know for sure it’s not my last time. My wife and I dream to one day bring Eliot with us to the hospital, so the moms there can see that Yahweh is God and Healer. 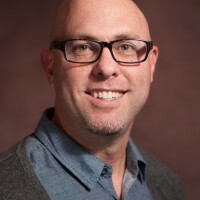 Jeff Jackson joined CURE International in 2012 and serves as a Stewardship Advisor. 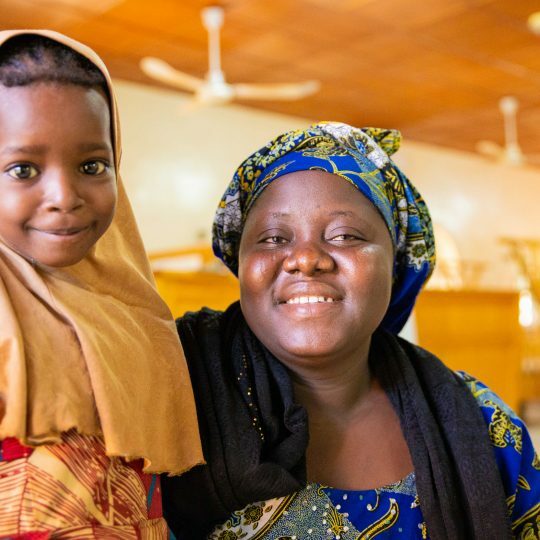 It’s his joy to help build and maintain relationships with friends, families, and foundations who are partnering with the ministry of CURE.